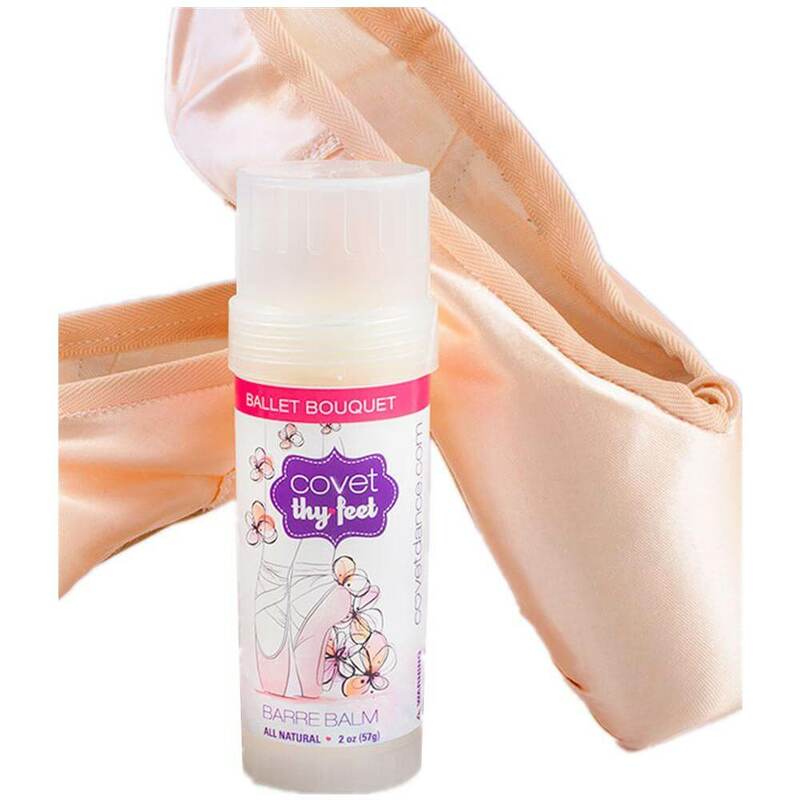 Popular Foot Care Products for dancers including gel pads, odor eliminators, and more. 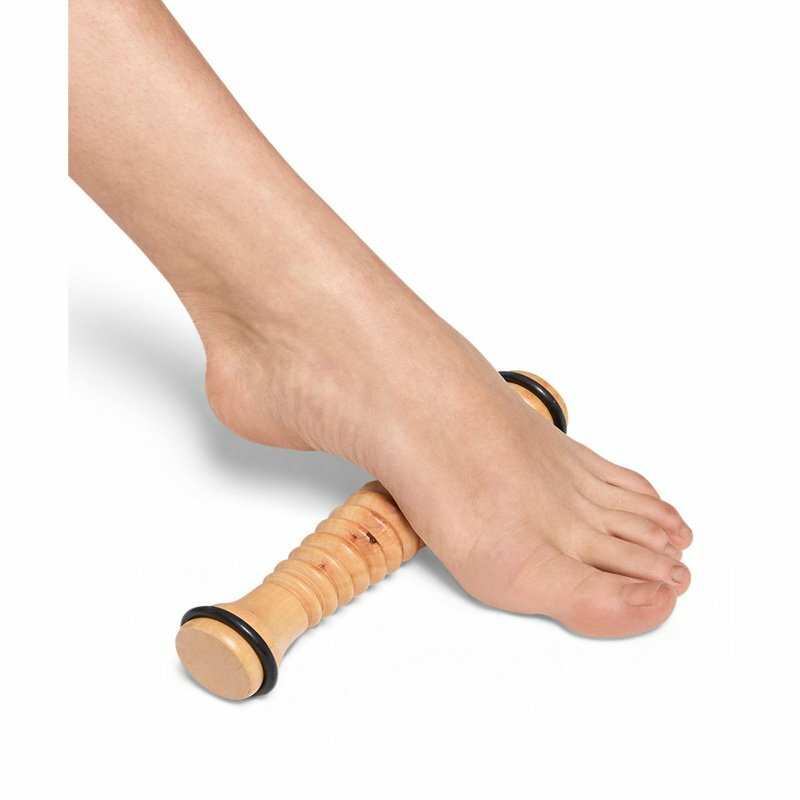 Bloch Foot Roller 90226: For hard working dancers on the go, this portable foot roller can be used anywhere/anytime to soothe aching and tired feet. Simply place on the floor under your foot and roll your foot back and forth adding as much pressure as you feel necessary. 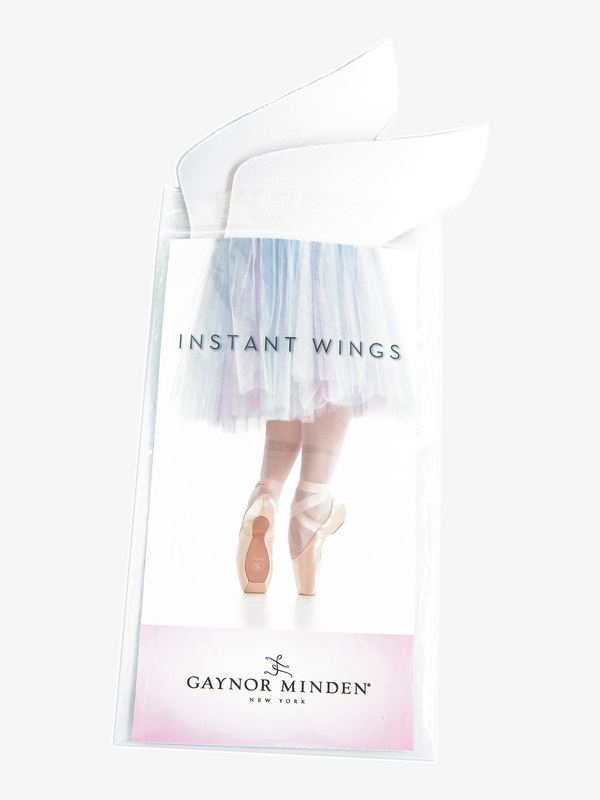 This fabulous dancer tool relieves tension under the arches and smooths out knots in the feet from long days of dancing. 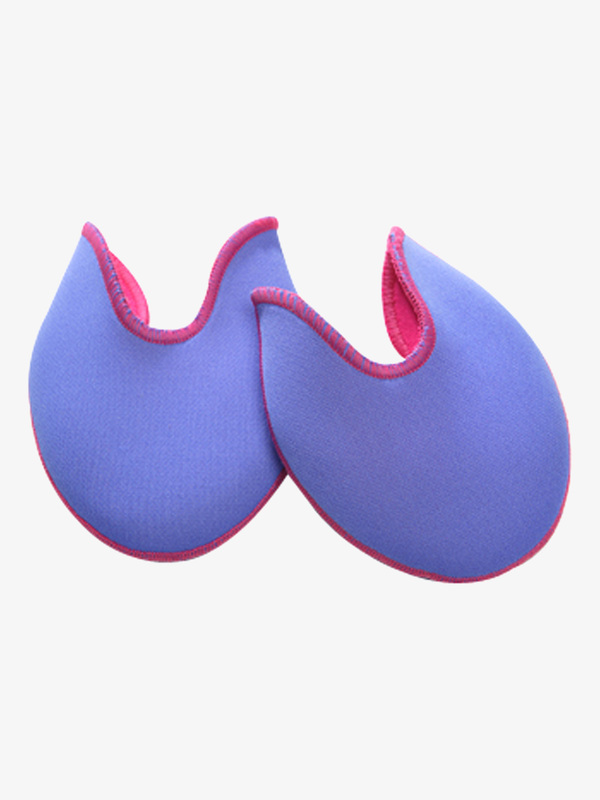 Bunheads Violet/Fuchsia Ouch Pouch Jr. Large BH1095VF: The Ouch Pouch Jr. by Bunheads is great for smaller or wider feet and for those who want only the toes cushioned. Approximate pointe shoe sizes 7-10. 2 per package.Size: (adult) One size fits most. Bunheads Toe Tape BH370: This crepe tape, used by professionals, reduces friction and prevents the chafing that causes blisters.Size: 60 yds. long. 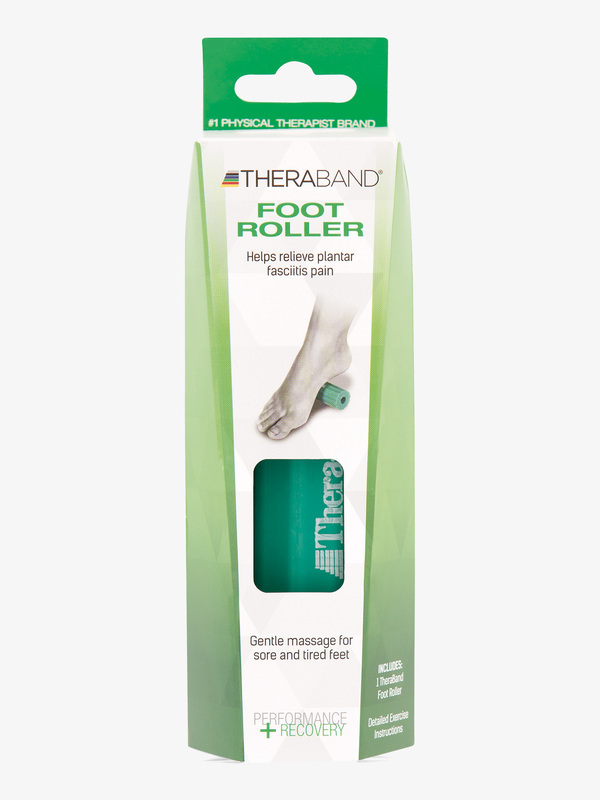 Cramer TheraBand Foot Roller 13091: Relieve foot pain using this TheraBand Foot Roller that is affordable, simple to use, is ridged to deliver a therapeutic foot massage, made of natural latex material, and includes basic exercise instructions. 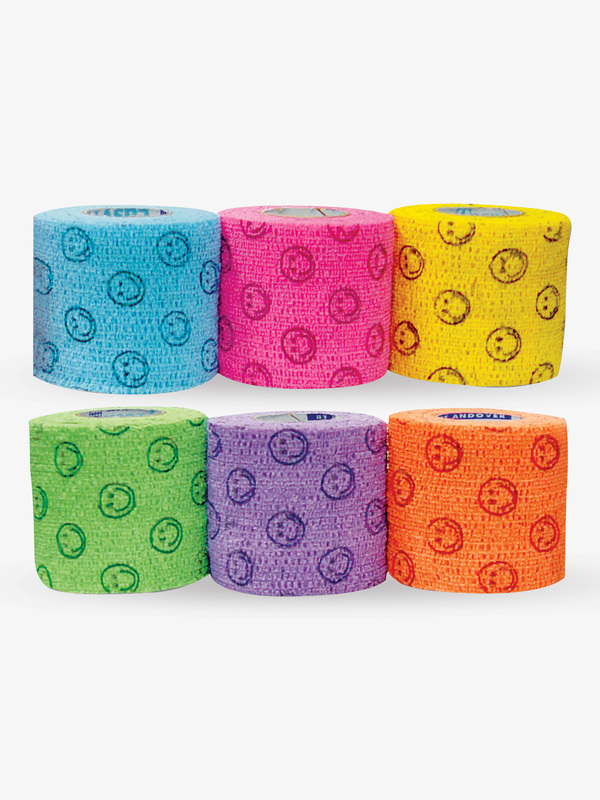 Discount Dance Supply Smiley Face Toe Tape AND5200: Ultimate toe protection is something to smile about! 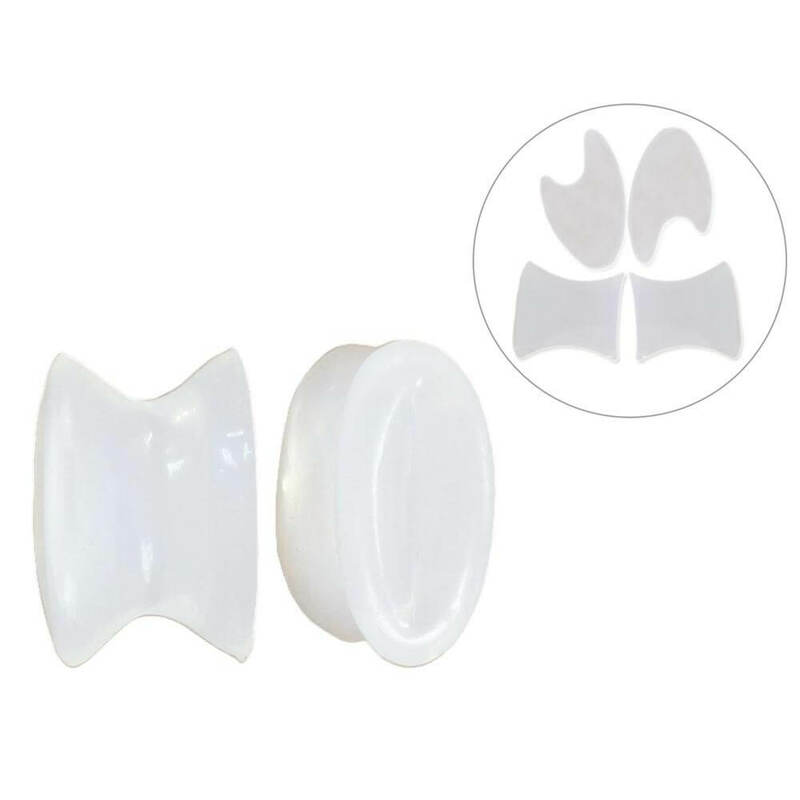 Smiley face toe tape is Latex free with no sticky residue and can be trimmed to desired size. 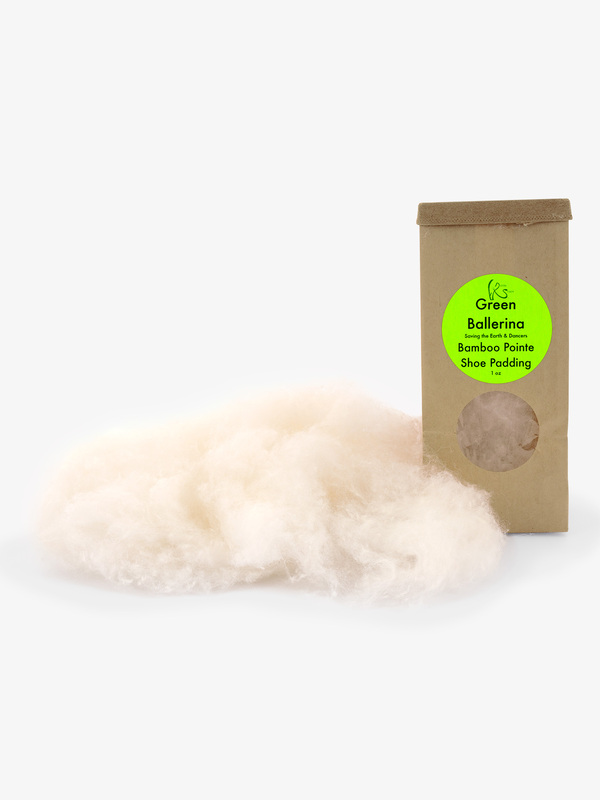 You will receive one roll in either pink, yellow, orange, green, lavender or blue.Size:2-inch wide/2 yards unstretched. 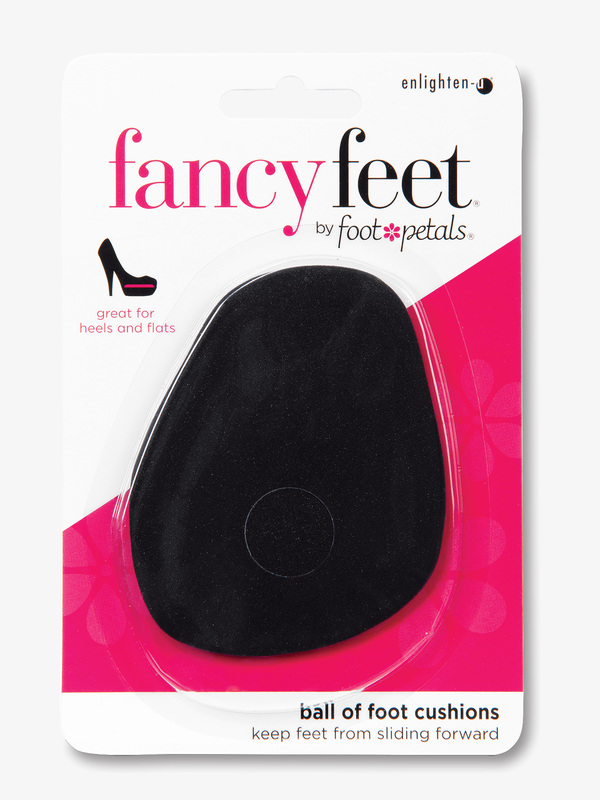 Fancy Feet Spot Dot Cushions 72082: Great for relieving pressure spots while wearing high heels, flats, and dance shoes. 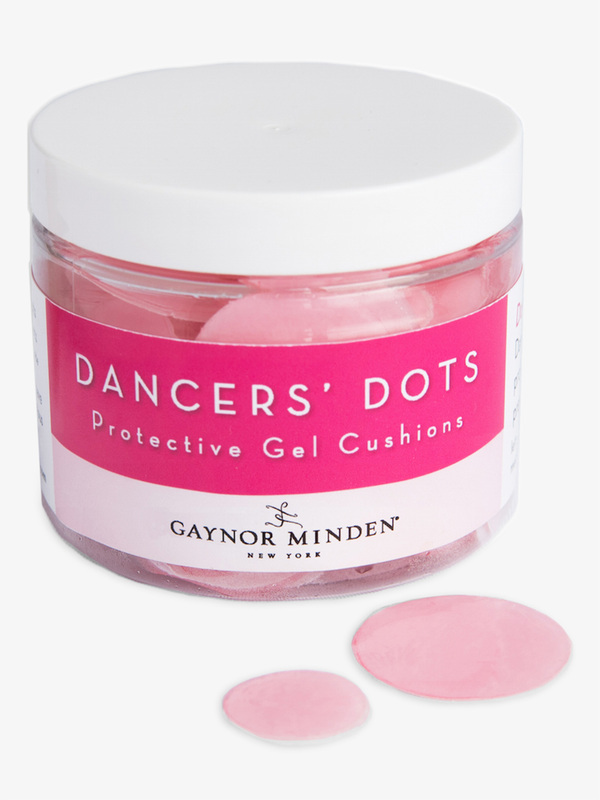 Spot dot cushions are discreet, easy to apply, and prevent blisters and red marks to keep your feet looking fancy all day long! 6 per pack. 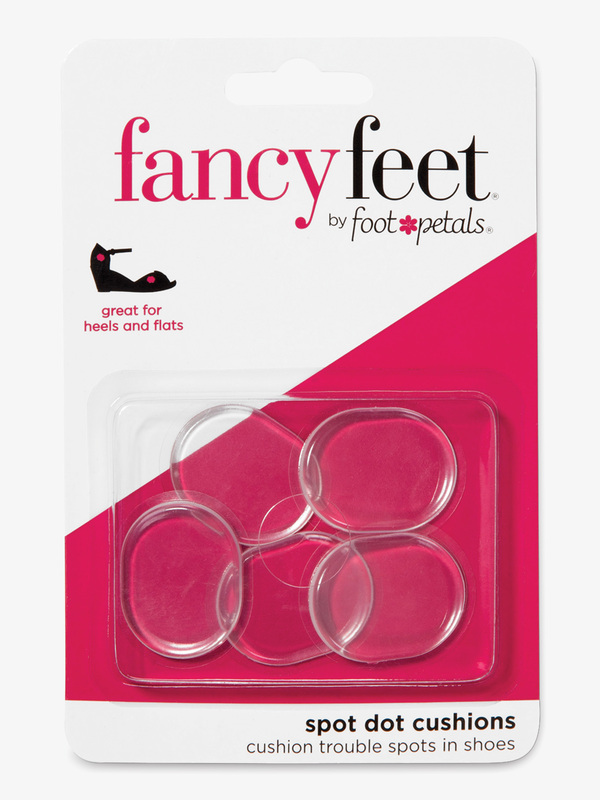 Fancy Feet Ball of Foot Cushions F72027: Great for heels, flats, and dance shoes! 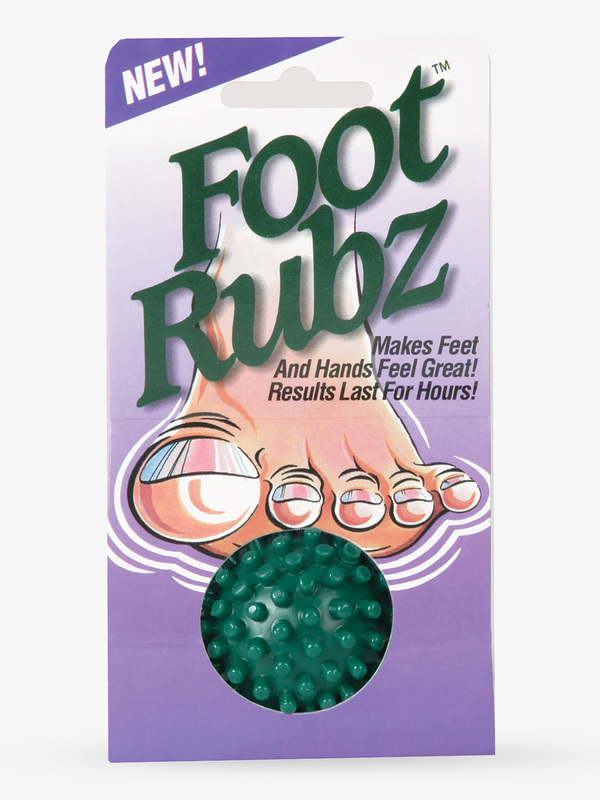 The Fancy Feet ball of foot cushions feature a sleek, nearly invisible design while also providing stress relief for tired, sore feet. 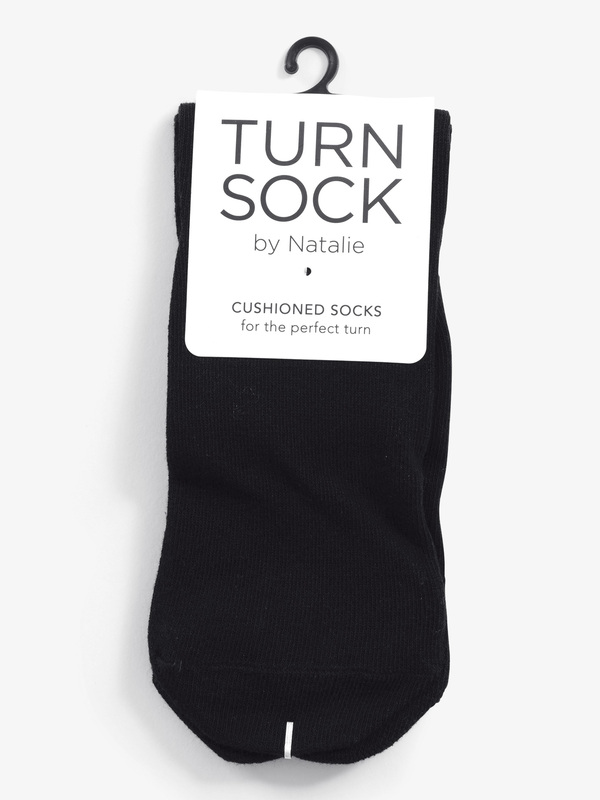 Cushions are made from breathable, antimicrobial enlighten-u material for fresh, all day wear. Pads are also great for preventing calluses from forming. Made in the USA2 per pack. 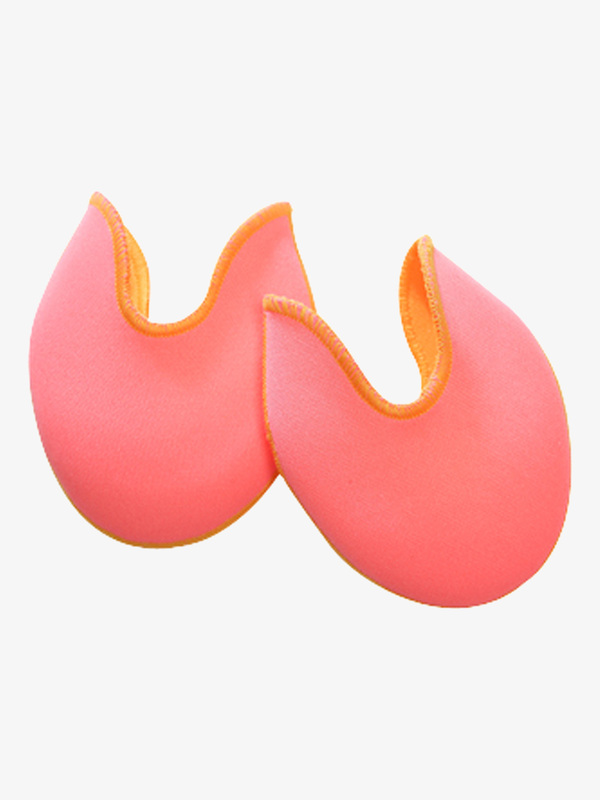 Fancy Feet Back of Heel Gel Cushions F72031: Keep shoes perfectly in place as you go about your day with the gel heel cushions by Fancy Feet! 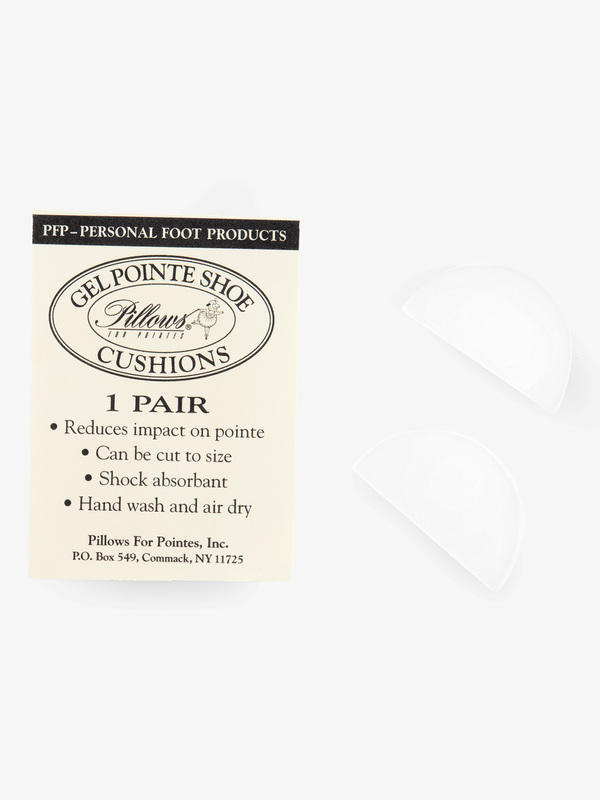 Gel cushions feature adhesive that help position cushions to the heel of your shoes for a comfortable, non-slip fit. 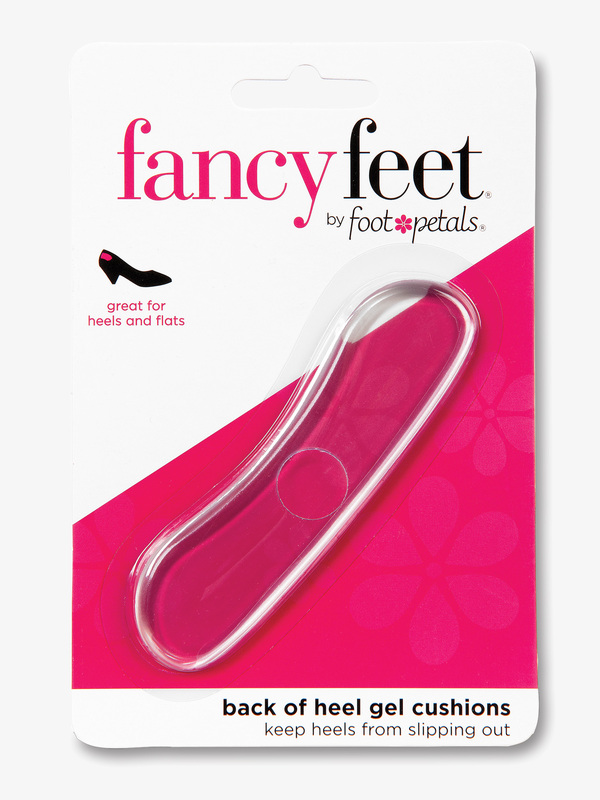 Great for heels, flats, and tap shoes! Made in the USA2 per pack. 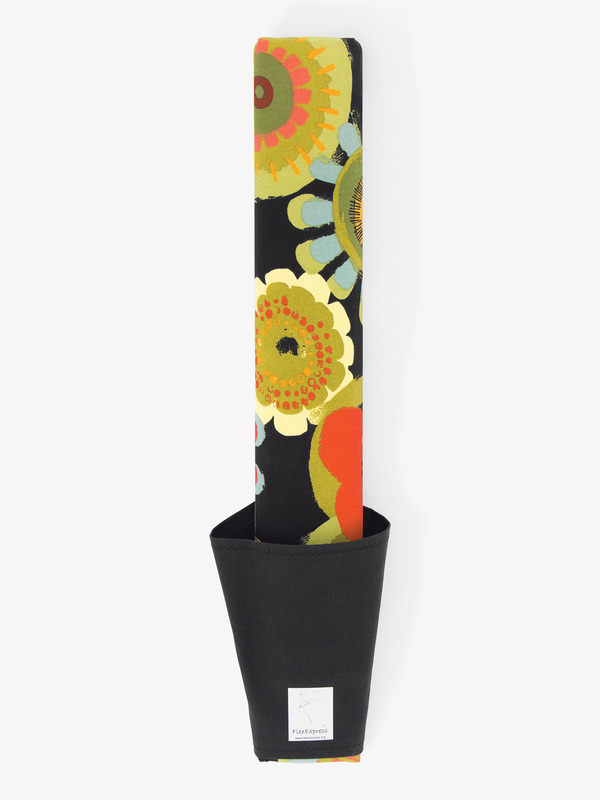 FlexExpress Fall Flower Power Arch & Foot Stretcher FE14009: The FlexExpress arch and foot stretcher provides the ideal way to improve and strengthen your foot, in order to increase the height and shape of your arch. This allows dancers to consistently achieve proper foot positioning, and technique across all genres of dance. The FlexExpress arch and foot stretcher is simply the most effective, and most comfortable way to improve the arch and strength of your foot. As the dancer or athlete becomes comfortable stretching over time, and as long as they are able to stretch with no pain, they can move their foot deeper down into the foot sleeve to increase the resistance and flex of the foot and arch. Determining where to place the foot being stretched when first beginning to use the FlexExpress will be determined greatly by the size of the users foot, and overall flexibility of their arch and feet when they first begin. As with any stretching exercise, care should be used to follow proper stretching technique, and never stretch to the point of pain.Size: 2' x 3.75. This item ships within 5-7 business days. FootGym 7-in-1 Foot Gym FOOTGYM: The most comprehensive device for foot and lower leg strengthening and rehabilitation. 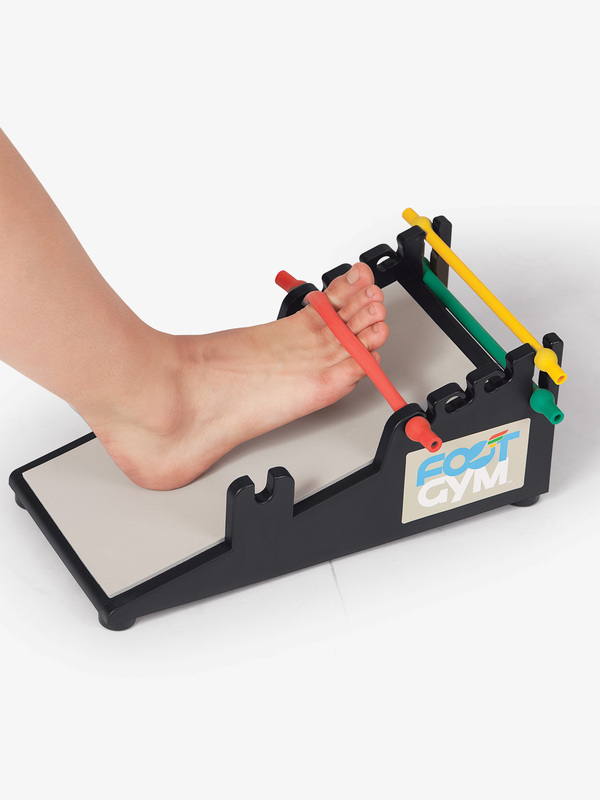 The FootGym features 7 foot and ankle exercises in one device to strengthen and stretch muscles and increase stability: Toe curl, Toe Flexion, Dorsiflexion, Plantar Fascia Stretch, Calf Raise, Calf Stretch, and Foot Massage. Use to treat plantar fasciitis, achilles tendonitis, and foot pain. Consult your doctor before use if treating an existing foot or ankle injury. 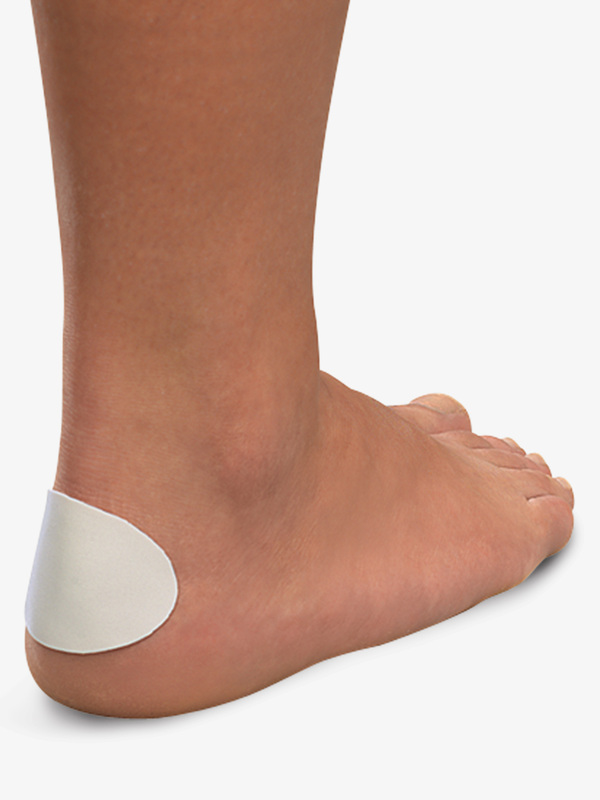 Mueller Foot Blister Pads 200723: Prevent blisters with Mueller Blister Pads. Features thin and flexible adhesive foam pads that conform easily to protect against blisters caused by friction and pressure. Keep in your dance bag for emergencies! 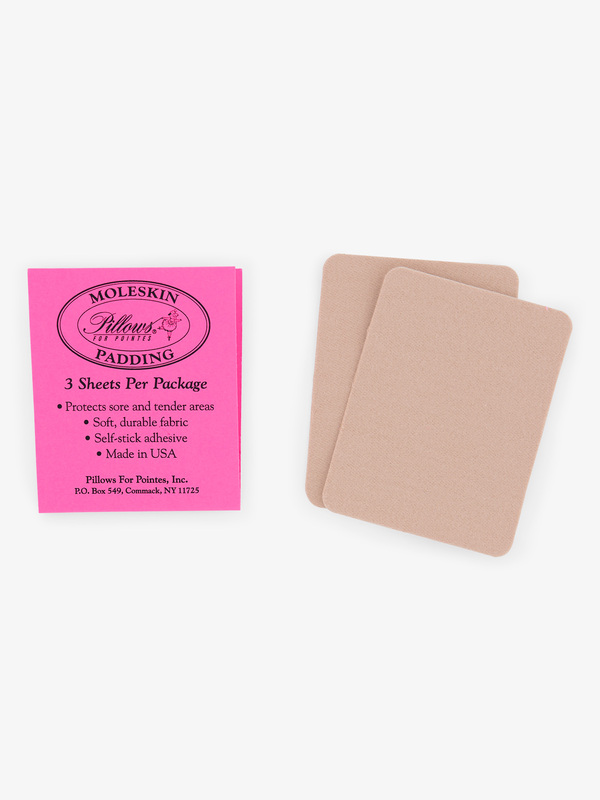 Blister Pads can be cut/trimmed to fit any part of the foot. 5 per pack. 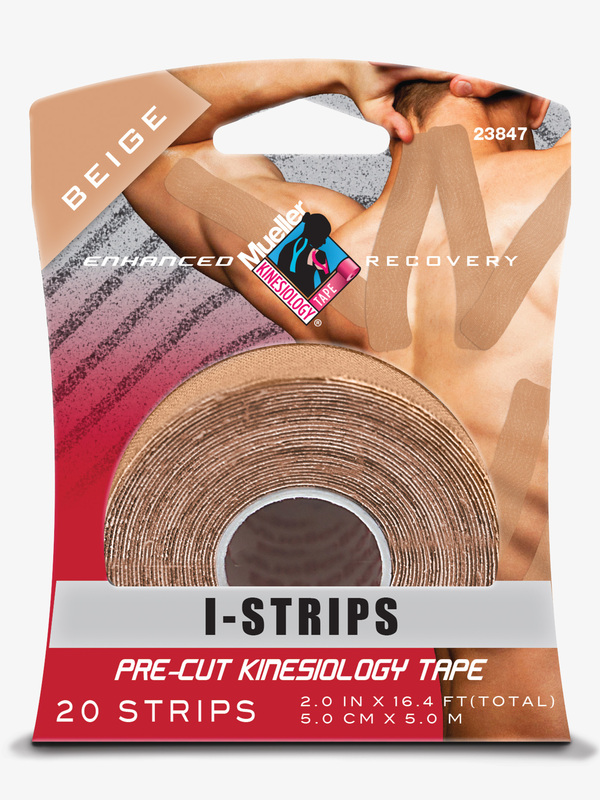 Mueller Beige Kinesiology Tape 23847: The Mueller Kinesiology Tape is designed to lift the skin to help increase the natural blood flow around your muscles for quicker healing. 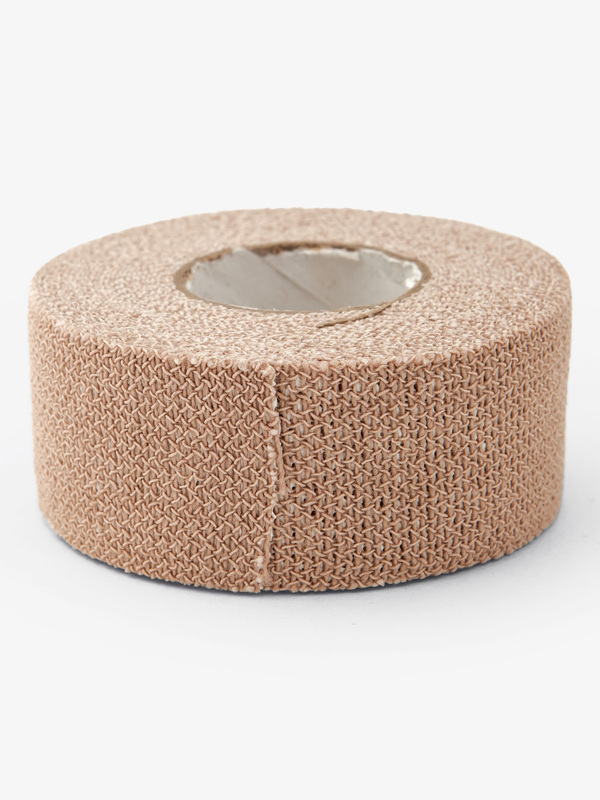 Tape features a unique wave pattern adhesive that moves with your skin and muscles as you heal. For best results, apply to the skin in patterns to mimic your muscles. Latex-free cotton tape is breathable and safe to wear for up to five days. Mild and hypoallergenic. Water-resistant. A dance bag must-have! 20 strips per role. 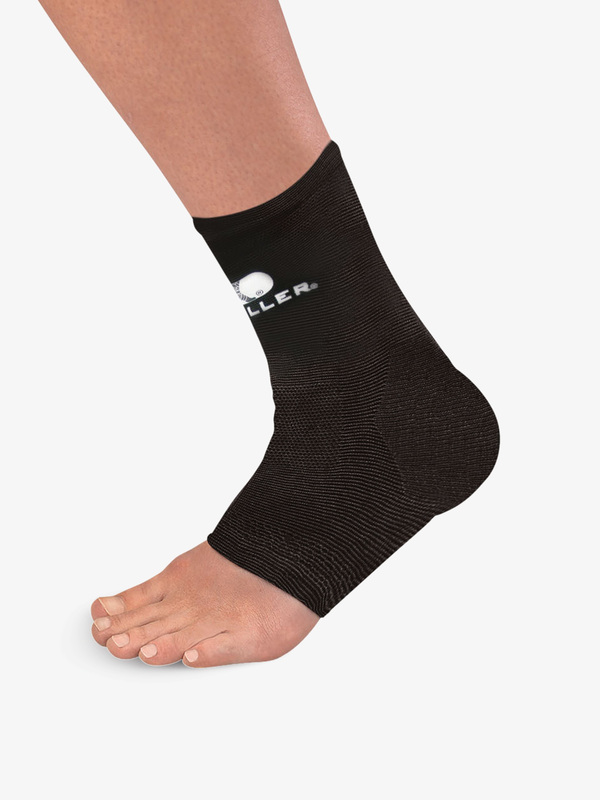 Mueller Adult Elastic Ankle Support 47631: The Mueller Elastic Ankle Support features a lightweight elastic knit that is firm yet supportive, allowing for a full range of motion for your ankle. Ideal for dancers with stiff, weak, or sore ankles. Recommended for daytime wear only. Care should be taken not to constrict the blood flow. Hand wash in cold water, hang dry. Contains rubber latex. 1 per pack. 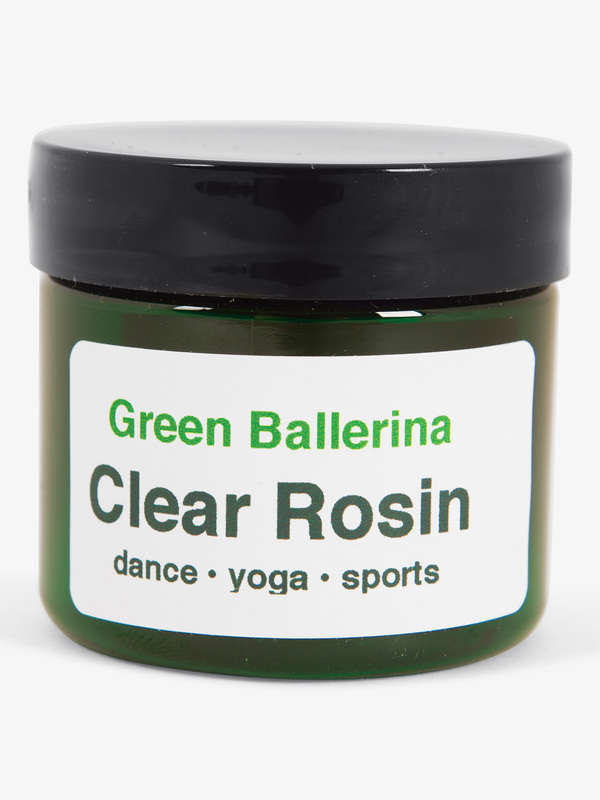 Pointe Snaps Green Ballerina Clear Nontoxic Dance Rosin WGBLSCR: Avoid slipping with this natural rosin that doesn't leave residue, is portable, nontoxic, and comes in a recyclable twist-top jar. Size: 1.5 oz. 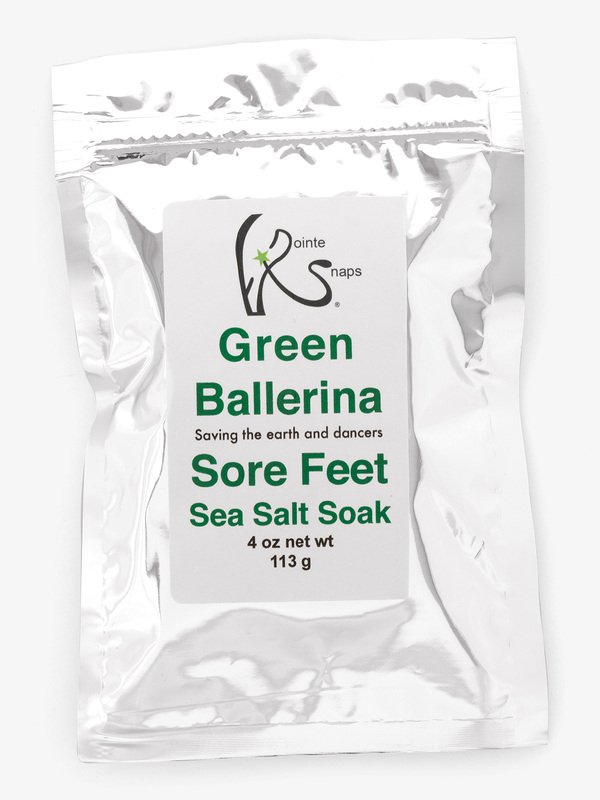 Pointe Snaps Sore Feet Sea Salt Soak WGBSFSSS: Pointe Snaps Green Ballerina Products are made of all natural, organic, and non-toxic ingredients and are an environmental solution to all of your dancing needs! Use the pink Himalayan sea salt soak to help soothe and relax sore muscles and feet. Comes in a Ballet Bouquet scent. 4 oz. Sweet Feet Deodorizing Foot Spray SW100: Developed by dancers, this non-aerosol, deodorizing foot spray is all-natural and will leave your feet conditioned and smelling fresh. Great to use before and after class. Size: 2 fl. oz.